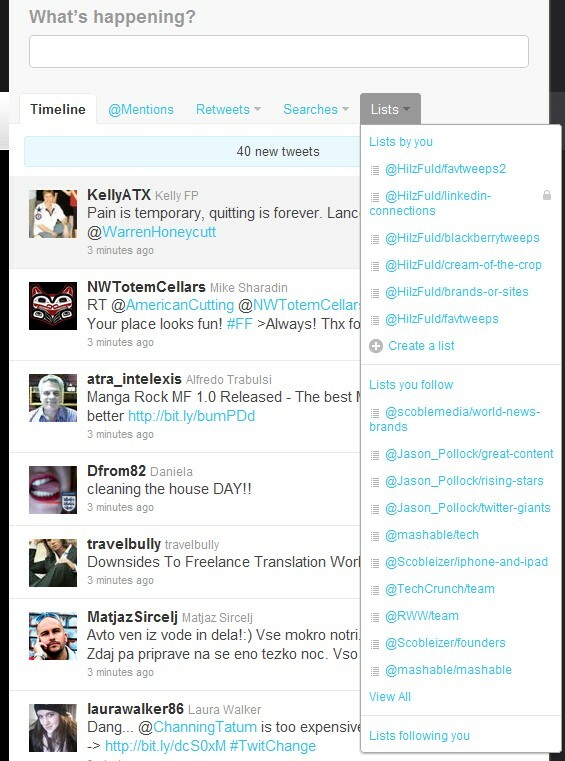 I Just got the new Twitter and there is really no question that it is a huge improvement over the old one. Having said that, the comparison to the old Twitter is irrelevant, that is not what it is here to compete with. 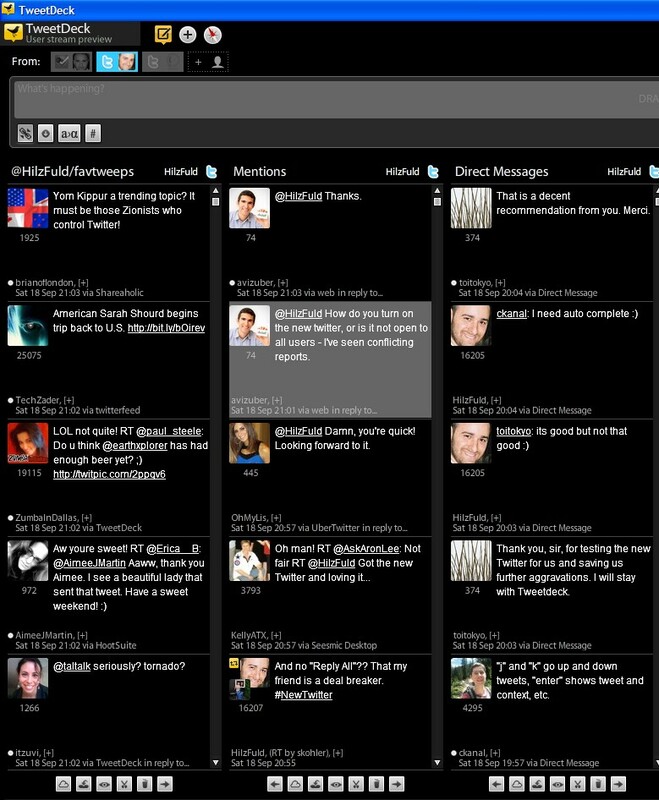 The new Twitter can and should only be compared to Twitter clients such as Tweetdeck and Seesmic. Since I am a huge Tweetdeck fan, I am going to talk about the experience the new Twitter provides as compared to that of Tweetdeck. Bear in mind, I am writing this post approximately ten minutes after getting the new Twitter. What that means is that these issues were right in my face. 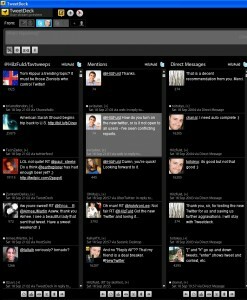 They were all blatant disadvantages of the new Twitter interface as compared to Tweetdeck. I am sure as time passes, I will get used to some of these things and I will also encounter other things I do not like, but these are the first ten. Also, it is important to emphasize that there are a lot of advantages to the Twitter web interface over Tweetdeck. For example, there are obviously no API issues such as API calls running out. However, the truth is, at least in the past, those accessing Twitter via the API were better off and had a more stable experience then those tweeting from the Web, which is down way too often. Other pluses of the Web interface are some nice keyboard shortcuts, and immediate access to people’s full profiles on the right side of your screen. Reply to Multiple Tweets: This is not to be confused with the Reply All button. Imagine the following scenario. It is your birthday and you are getting tons of Twitter mentions wishing you a happy birthday. All you want to do is reply to all of those mentions with a Thank You. With the new Twitter you cannot do that. There is no way to reply to multiple tweets with one response. In Tweetdeck, it is simple. You hit Reply on one tweet then proceed to hit Reply on others. Each name is then added to your tweet, and all that is left to do is write your Thank You. This is something a lot of iPhone/iPad apps are missing too. The only one I know of that does this is Echofon, but I would except more from the official Twitter Web interface. Reply All: This is a no brainer and it’s missing. You are in the middle of a Twitter conversation with multiple people and you want to reply to all the people mentioned in a tweet. To my utter surprise, this option, which is found in all apps I have ever tried, mobile and Web, is not available on Twitter.com. Very very strange. No Enter: The new Twitter has some neat keyboard shortcuts, but I am wondering what good that does if you need to lift your hand off the keyboard and use your mouse every time you want to send a tweet. There is no Enter option to send, you need to press the Tweet button on the site. Is it just me or is that strange? No Columns: I know I am dreaming on this one but the first thing Twitter should have done when launching a new design that is to compete with apps, is enable columns. Tweetdeck is famous for this, but even Seesmic adopted it since it is the most effective way of consuming all the information in your Twitter stream. If I want to use Twitter.com full time, I would need to open a few windows; one for my replies, one for my lists, one for my DMs, etc etc. Why not just enable columns so all that information is easily accessible? DM Location: This is not a feature but rather a design issue. I am not exaggerating when I tell you that it took me almost a minute to locate my direct messages in the new Twitter. You will notice that there is an option on your profile to quickly access your mentions, your retweets, searches, and lists. DMs are obviously missing from there. The only way to access your messages is all the way on the top of the entire interface. I feel like there has to be a better way and I am just missing it, but no matter how much I search, I cannot seem to find it. Seems the only way to my DM inbox is on top next to Home and Profile. I am no Web designer, but I am a Twitter user and to me, that is just annoying. List Access: This is an absolute deal breaker as I wrote in my initial review of the new Twitter. I am not going to repeat this point, but in short, Twitter lists was the best feature Twitter ever released in my opinion. 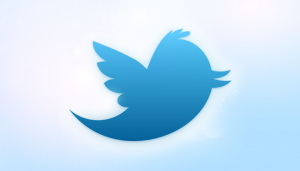 It enables heavy users to manage their Twitter streams efficiently and it changed the way I use Twitter drastically. When using Tweetdeck, I actually got rid of the All Friends column and replaced it with my list of my favorite people on Twitter. In the new Twitter, I can access my list, but it requires two clicks, and as compared to Tweetdeck’s zero clicks, that can get annoying. As I mentioned, I can open multiple windows, one of them being my list, but that is a work around that I do not feel a need to do since I have Tweetdeck. 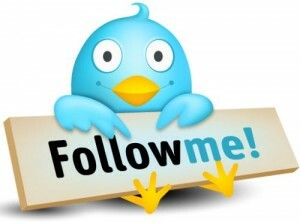 Old Retweet: How could I mention the disadvantages of Twitter.com without talking about this issue? This is not specific to the new Twitter, but I did sort of hope that with the new site, Twitter would come to their senses and enable the old style retweet. Looks like I am out of luck and there is no way to edit a retweet before sending, nor do these retweets appear in the person’s mentions. Both these issues defeat the purpose of retweeting a person beyond of course sharing their information with your followers. Add User Name to Tweet: I am going to get yelled at and called lazy for this one but imagine this scenario. Let’s say I want to thank Del Harvey for helping me get the new Twitter enabled (hypothetically speaking of course). I tweet the following: “Just wanted to thank…” There is no way to add Del’s Twitter name into that tweet. I actually need to manually write it out or reply to her and then add that text before her name. Seems pretty silly to me. Why can’t I reply to someone and have their name added to my Tweet box? Am I nuts here or is that unintuitive? Auto Complete: This is another deal breaker for me. I talk to hundreds of people on Twitter throughout the day and there is no way I can possibly remember how to write out each person’s name without error. In Tweetdeck, as I write @ a box pops up that completes the person’s name as I write it. I have grown accustomed to this important feature and it is something I look for in mobile apps as well. I think it is the least we can expect from Twitter.com and I am no developer but I cannot imagine this would be too difficult to implement. Bottom line, if I want to write someone a message on Twitter, I need to remember their exact spelling or I can open Tweetdeck and it will do it for me. What do you think is the better option? DMing: I am convinced I am missing something here but even if that is the case, if I can’t find this option, chances are other won’t either and that is a problem. How do I DM someone from their tweet? I can open their profile and click message but come on Twitter, how difficult is it to add another shortcut to DM someone directly? There is an M shortcut that opens up the box to direct message someone, but then we go back to the auto complete issue. There is no easy way to DM someone directly from their tweet or at least I have not found it yet. Pretty basic option and it is missing. In conclusion, as I mentioned, these are my initial comments and there is a good chance I will find solutions to some of these issues. 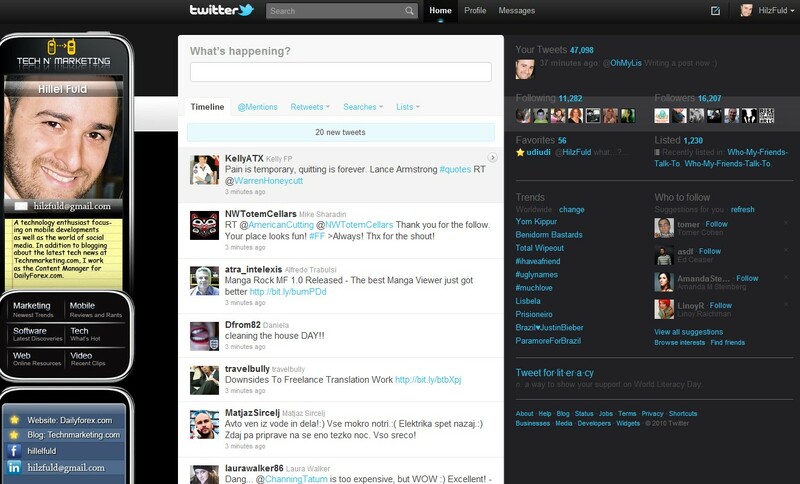 However, I am a big believer in simplicity and so were the developers of Twitter once upon a time. What I mean is that even if I do find the answer to some of the above questions, the fact that I could not find those options immediately is a problem. All in all, this new interface is a step in the right direction. I will end off by saying that if the new Twitter is targeting new users, and its goal is to offer more functionality from the Web, then mission accomplished. However, if the new Twitter is intended to take people like myself away from Tweetdeck, Seesmic, or even the Web-based Hootsuite, well then, sorry to say but Twitter seems to have struck out, but there is always next inning in the form of the next version of Twitter.com. What do you think of these issues? Am I nitpicking or are these real problems with the new Twitter? Please let me in the comments or reach out to me on Twitter. Who really does this? I think a nice “Thanks to all” would suffice to a bunch of birthday tweets. Not to mention it would be a great spam vector and it’s best that Twitter.com avoids this. Just around the corner. It’ll be there before you blink. Competing with desktop apps AND other web clients was the first thing we thought of. Also, multiple columns tested very poorly in our early prototypes. You’re basically complaining about columns and shortcuts again. This seems to be a nice little design request. I do admit DMing in the dialog w/o autocomplete is a bit hard to do. Other than that looks like we can do some exploration on how to make messaging easier. And one more thing. Last and most importantly, thanks for using Twitter 🙂 If every client was the same — then that would be quite boring. 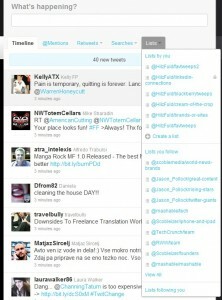 Tweetdeck will never be twitter.com, and visa versa. It’s best this way. 1) I use reply to multiple Tweets on a regular enough basis to be irritated if it’s not easily available to do with a simple couple of clicks of a button. 2/4-10) Seems a bit ridiculous to roll out an incomplete version of something that third-parties have done to improve the use of your service. This is both arrogant and ignorant (in regards to attitude towards your users) of Twitter to do. I look forward to Twitter not only matching the competition of other companies that utilize your own service better than you, but to you guys actually exceeding them and coming out with even better and more user-friendly functions/design. Thanks a lot for your comments guys. I just went to twitter help, typed in the phrase “keyboard shortcuts” and got nothing. I then went to gmail help, typed in “keyboard shortcuts.” First result was a link to the list of shortcuts. It’s rather arrogant to expect us to use your keyboard shortcuts when it’s hard to find out what they are. Twitter documentation is so cumbersome, it’s easier to just use another app. You’re a minority on the multiple replies. 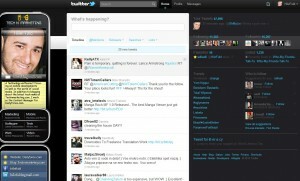 We know people may use it, but 75% of our users use Twitter.com, and we need to design for that. Also, I can guarentee we’re not ignorant. Twitter, at the least, knows more about its users than any other client / company, and has poured a ridiculous amount of hours into the user-friendlyness of our website. And as one fair reminder, please read my second comment in this thread. Thanks for your feedback. There’s a link in our footer (on new twitter) that says “Shortcuts” – click it. Also, we just launched – and it’s in preview mode for everyone – it’s a bit much to expect an app that is 4 days old to have 100% help coverage compared to an app that is 6 years old (Gmail). cheers, and thanks for using Twitter. You mention quoting, maybe. Question. Why fix something that isn’t broken? How is the act of quoting and RT’ing any different? Going to have a QT function? It’s semantics if Twitter comes up with another option to replace the Old Style RT. That means they were being arrogant and are continuing to have an ego about it. Do it Tweetdeck style, simply give users the choice. I know it is NOT a technical limitation or anything else of the like. Marketing decision, all the way. While I may be in the minority 25%, we are amongst the most active users. Keep that in mind. Also, I am very well aware of the importance of differences between clients, but I would expect the ‘head honcho’ of them all to incorporate everything and add even more. That is, of course, unless the company doesn’t value growth and instead is just trying to play catch-up. 25% is undoubtedly a number you made up. That’s fine. Also, implementing “everything” is exactly what Twitter is NOT going to do. Sorry. We’ve found alternative ways to push the envelope – but adding more clutter and more features is not the best way to design a product. Nevertheless, I’m extremely happy Tweetdeck is working out for you, and really, you should just continue using it. 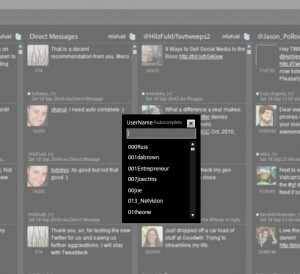 I’m switching between Seesmic and Tweetdeck and checking out other options to see which are the best. It’s a shame, after seeing what a terrible attitude you have towards the consumer and constructive criticism, that we’ve all already established ourselves on Twitter for quite a while now. I would expect not only a pride in one’s work, but an openness and respect for the person that actually uses your product. People, PEOPLE!! Have you even bothered to check if this “Dustin Diaz” is a Twitter employee and not just a troll with allot of free time on his hands? I have to agree with hillel on #3. You’re wrong to compare yourself with gmail, or any email app. writing and sending an email is a totally different experience than writing a tween. What you should be comparing yourself to is Gmail chat, or even AIM (drawing on twitter’s original inspiration from AIM’s away messages). Those applications do not require a tab to enter, just an enter. Good post. I think the comments are really interesting. After having used the new Twitter web interface, I feel it’s missing the mark on a few points from my perspective. Yeah, it’s a little better and “a step in the right direction” for Twitter’s business not necessarily for the users. I guess I was expecting more? I apologize for anything that is often mistaken as being rude, but rather simply terse. We (you, I) were clearly mistaken then on said statistic. I was referring to Tweetdeck itself, not all 3rd party applications. Re constructive criticism, I am only defending the decisions we’ve made thus far and the folks at Twitter care quite deeply about our own product. We are nothing less than infatuated with making the experience better. And to make one point clear, several of our own employees use Tweetdeck (and several other clients) happily on a daily basis aside with Twitter.com. As a reminder, our website has always been tab + enter. Sorry if that wasn’t clear. There are debates that go back and forth. Since we do in fact store line-breaks – it’s best we un-support ‘enter’ all by itself. Great article and dialog on this. Pingback: ?????? ???????? : ??? ????? ??????? ???? | ????? ??? ?